The title refers to my slightly earlier podcast day and also some changes to my work life that I recently made. This is an ever so slightly shorter episode and none of my usual birdy tweets and cat purrs….I am amid packing! Shetland Wool Week and upcoming knit-night – See the event listing on Ravelry for more details of the knit-night. If you are in Shetland for Wool Week it’d be great to see you. Yarndale – there will be a podcaster meet up in the Cafe in the pens at 3pm on Saturday 27th. If you are going to Yarndale myself, Shiny Bees, The Geeky Girls Knits, KnitSpinCake and Yarns from the Plain podcasters shall be there! Stop me if you see me making large yarn buying mistakes! Edinburgh Yarn Festival Podcast Lounge – a lovely community area at the March event for podcasters to meet their audiences and interview guests. Get in touch if you are a podcaster interested in attending and perhaps helping out with events. Get in touch if you are going to EYF! I’m making Tori’s Mystery Mittens just now. My fav of hers is en Revant de Provance. She’s fabulous & one of my fav designers. I’m a new viewer/reader of KnitBritish & find it so interesting, being an American myself. Whoops, I’ll be disqualified if I don’t post my Ravelry name, which is jamiewalcott. Again, fav pattern is the en revant de Provance mittens. Thanks. Another great episode. 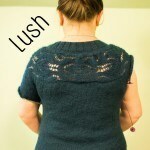 I’m not going to Yarndale, but I’m looking forward to some pictures of the Lush wearers!! 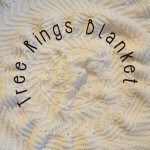 My favourite of Tori’s patterns is Teppet Blomenkrans blanket. I’m glad you have been able to change jobs and I wish you all the best. Hurray for more knitting time! I’m a newcomer to the podcast, thoroughly enjoying it! 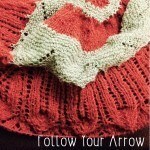 My favorite Tori pattern is Next Year in Lerwick but a close second is the Amiga Cowl. Love that it combines delicate crochet & knitting, using sock yarn, of which I have much, waiting to be used! I thoroughly enjoyed your podcast. It is my first visit to your blog/podcast. 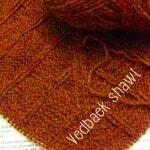 Food for thought on your question of how old is your oldest WIP…yikes…20yrs on a lovely shawl. I have in the past year made a goodly dent in the stash of WIP’s and the pile is much smaller, with hopes to continue knitting what is left into FO’s. I am also a fan of Tori’s designs and my favs are of course, top of the list, Next Year in Lerwick, then Hippocampus (which I have knit), and Fotballvotter, Curly and last but not least Blomekrans. Enjoy Shetland Wool Week…I will be wearing my Shwook hat too join in spirit from across the pond. I knit it in J & S in the natural colourway. My favourite Torirot design, is the Blomekrans hat. I love the design! My rav name is plasticfantastic. Good luck with the new job. Tori’s designs look fantastic! And browsing through the pages of rav projects done in different colors…wow. I spent a long time looking! SO many of the mittens patterns are very tempting – for after WIPCrackAway! Looking forward to your next podcast and hearing all about yarn dale! Favourite pattern would be the blomekrans mittens, gorgeous colours. I really enjoy your podcast. And I really really enjoyed looking through the delightful patterns on Torirots’ page. My favourite was Teppet Blomekrans. Though I’m not sure I would ever be skilled enough a fair isle to complete it! First knitting podcast I’ve listened to – very interesting. 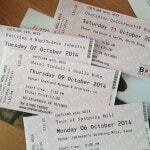 Great to hear about forthcoming Shetland Wool Week which I shall be following online this year. I met Tori at a couple of classes during Shetland Wool Week 2012 and was in envy watching her do colourwork – I dream one day my fingers will move so effortlessly! My favourite pattern is Blomekrans(vest) and its wide flower pattern. I’ve had my eye on this pattern ever since it’s release. I need to finish some WIPs first before embarking on a project like this – so I’m off to join #WIPCrackAway! Another great podcast Louise. And thanks to all for another great giveaway. My favourite pattern is Tuin. I love the contrast between the dark blue and the white fair isle section. I loved your closing track! It sounded oh so familar…….. Tori’s patterns are amazing I need to learn the right way to knit fair isle (hoping to do Hazel Tindall’s class at EYF next year) I liked the Stella polaris hat pattern knitted in a chunky weight yarn. Although some of the more intricate mits and jumpers are stunning but a bit out of my league at the mo. Was great to see you at Yarndale but now really struggling with my WIP Crack Away following my shopping spree! Oh I failed rav name Isla111. Whoops! Louise, I love your podcast. I am missing Yarndale by a few weeks (live in Canada and coming to Scotland, England to visit family the end of this month. I am in love with Lullaby Love. So sweet and the colours are amazing. My Ravelry name is CnitterCatey. I love the hippocampus. And also Next year in Lerwick. I just stumbled upon this lovely podcast – thanks! Tori’s patterns are fabulous…I especially love the Blomekrans mitten pattern, so cheery and full of energy. Thanks for the opportunity to win the Next Year in Lerwick pattern, such a lovely pattern with a brilliant name! My Ravelry name is designbarr. I saw a picture from Tori’s amazing “Next Year in Lerwick” in blue colours. That’s my favourite pattern.My Ravelry name is Maschenzauber. I think my favourite is actually Next Year in Lerwick! My rav name is KitsyBabcock. I really like Tori’s “Toasty, Twisty, Tweedy” cowl. Looks very cozy. Rav name tmowens. Next Year in Lerwick is my favourite, I love the pink version! Also want to make the Dreaming of Provence mitts and run away to wear them in Provence! I love the Next Year in Lerwick pattern but I think my favourite is the Lollipop legwarmers – I’m wondering if I can make some for my toddler. Not counting Next Year in Lerwick, my favorite is her Singe-linge lang. My name on Raverly is rfujita. I really love Tori’s Latifolia set. So stunning and a great twist on contemporary stranded work. My Ravelry name is tracytriumph. I shall hope that I might win! Thanks! Hi my ravelry name is terrytheferry. And my favorite are Toris hippocampus mittens they are beautiful and so gloriously colourful. My fingers are crossed. I love Tori’s Den hemmelige hagen. Beautiful design! I loved the book as a kid, so that just adds to my excitement. My rav name is irishrust. Oh wow. There are so many to choose from. I love this pattern a lot, so it’s pretty hard to choose. The mittens are lovely, but I think I’m going to plump for the Singe-linge-lang cardigan, because it has dancing goats on. What’s not to love? This might be a silly response to the question, but I really think I do like the Next Year in Lerwick design the best. Hope I’m not too late for the competition for one of the patterns! Favourite pattern – Next year in Lerwick – of course!! Love the sweater, but my favourite is the Selbu meets Holland Mittens. Such a fun design! Rav name is stonemoon and re:Torirot Designs Giveaway> I love, love love next year in Lerwick. I have been eyeing it for over a year. Wish I could be there as well. 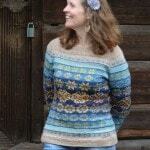 My Ravelry name is LCC and my favorite pattern is next year in Lerwick. My second choice is hippocampus. I’ve just started to be interested in Fair Isle, i’ve knitted a Clayoquot hat (friom TinCanKnit) from my handspun (so proud!) and started The Clayoquot cardi. My favourite pattern is the Blomekrans hat. Won’t be at the Sheland Wool Week unfortunately, but with members of my spinnning guild (in Burgundy) we’ve decided to go next year!! I really love the Dreaming of Provence mitts – inspired use of colour! Tori’s Lullaby Love blanket has been in my favourites for a long time, I think it’s a really innovative design. I’m sailingby on Ravelry. So many lovely patterns but I think Selbuvnott is my favourite. My Ravelry name is AuntieFona. After much due consideration I decide to settle on Teppet Blomekrans. And they are all amazing patterns. Love your podcast, I just found it. Wonderful! I am finelightness on ravelry.